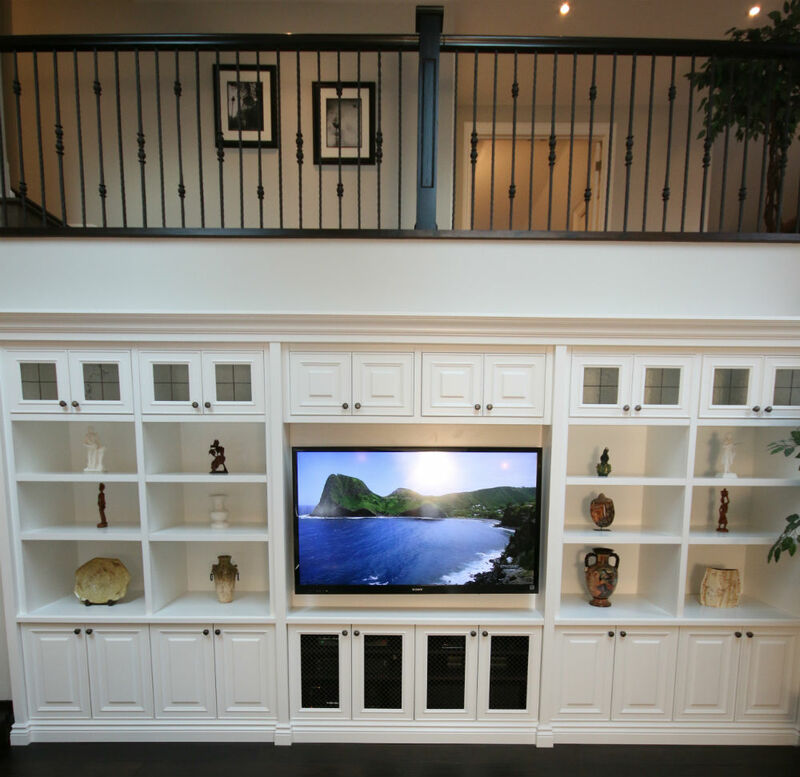 This wall unit was a component of a large home renovation project by Toronto Custom Concepts. 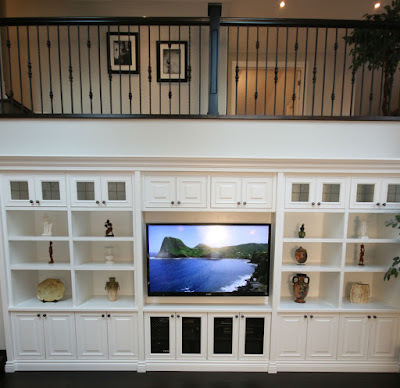 The original wall unit was removed and the new custom unit offers much more storage space with a more current style that accounts for our clients large flat screen TV, media components stored below the TV area. The wall unit was built into the wall which allowed for deep storage units yet providing an almost flush appearance with the wall above and to the sides of the unit.